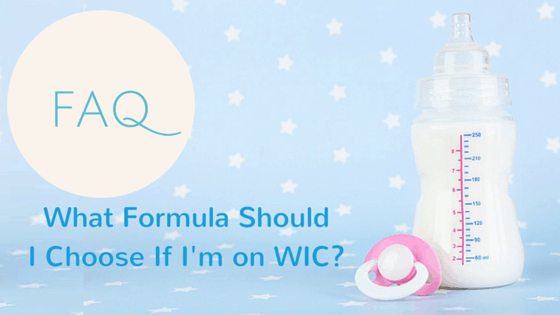 What Formula Should I Choose If I’m on WIC? 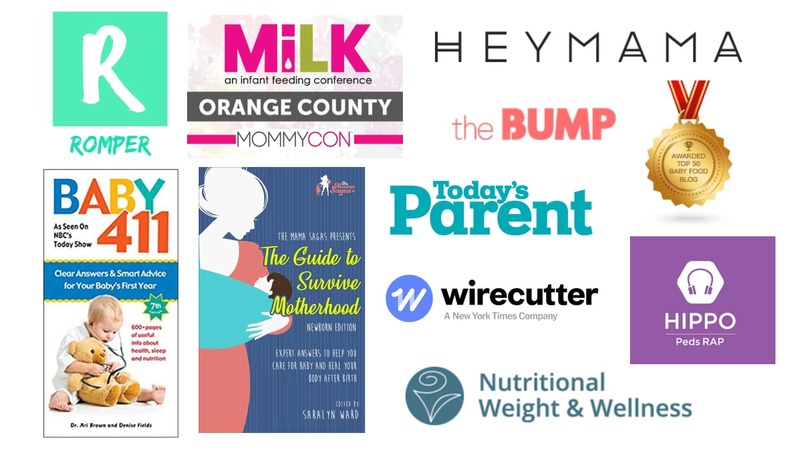 More than half of the babies born in the US are on WIC (more formally known as the “The Special Supplemental Nutrition Program for Women, Infants, and Children” … You can see why they abbreviate it!) (1). WIC is a US public assistance program that provides nutrition support for pregnant women and new Moms, infants, and children less than 5 years old. You have to meet a certain income cut-off to receive WIC benefits. Moms on WIC who are breastfeeding receive extra food for up to 1 year after the baby is born, and Moms who formula feed receive free formula for 1 year. Here’s the crazy thing about WIC – WIC is run by each state individually, so the state decides what baby formula choices it will offer to parents. And every state is different. How is that decision made? Just like a construction contract! In other words, the big formula companies all submit a bid for that state’s WIC contract. Then, the state chooses whichever bid is cheapest … and that is the formula that is offered WIC participants. Every bid has to include a “standard” formula and a soy formula. The company gets to pick which of these to include in their bid. From there, it is a 100% financial exchange – no consideration is given to the nutritional differences between different types of formulas. 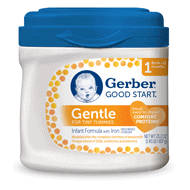 Because of the huge quantities of formula needed to provide for WIC babies, the contract almost always goes to one of the three biggest companies: Gerber, Similac or Enfamil. Sometimes all the standard formulas from one company are offered, sometimes only 1 or 2, and sometimes it’s a mix of companies that end up being offered. Every state is different. If you’re state gave Gerber the WIC contract, like in South Carolina, you’ve scored big!! All of Gerber’s standard formulas are partially hydrolyzed – and all but the Soy formula are whey based. Love that for newborn babies. I suggest starting off with “Good Start Gentle” which has a prebiotic instead of a probiotic and also very little corn sugar. The “Good Start Soothe” has more corn sugar than lactose, so I like the “Gentle” better to start with, and y’all know I really don’t like soy formula so never recommend it as a first formula to try. 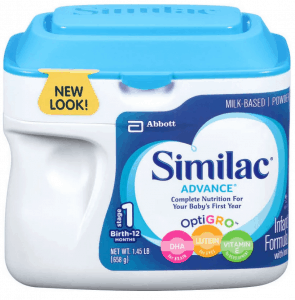 Similac and Enfamil are a little harder since neither of these brands offer a standard baby formula that is both partially hydrolyzed and has lactose as the primary carbohydrate. So for these brands, my answer depends on your baby’s age. If your baby is less than 6 months old, I’d suggest starting with Similac Total Comfort because it’s a partially hydrolyzed whey protein. The bad news is – it only almost no lactose. The carbohydrate is from corn syrup and sugar. But for really little babies, I think it’s more important to get a hydrolyzed protein than to avoid corn sugar. That’s what the current research suggests to me anyways. 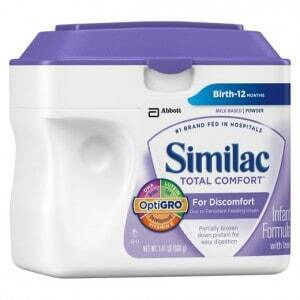 I don’t really like Similac Sensitive since almost 100% of the carbs are from corn sugar (yuck!) AND the protein is not hydrolyzed AND it has no extra whey protein. None of these formulas come with a probiotic in them, so you may consider adding one at home. 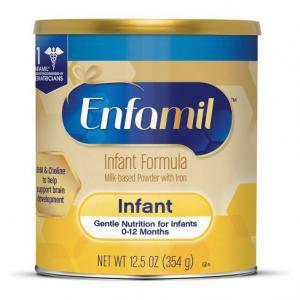 If your baby is less than 6 months old, I’d suggest starting with Enfamil Gentlease because it’s their only cow’s based partially hydrolyzed formula. The bad news is – it only has corn sugar. But for really little babies, I think it’s more important to get a hydrolyzed protein than to avoid corn sugar. That’s what the current research suggests anyways. 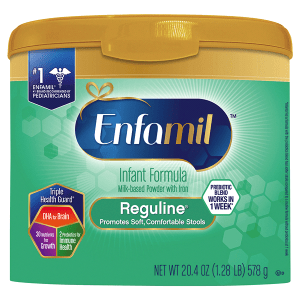 Enfamil AR is NOT a hydrolyzed protein and has no extra whey. The carbs come from lactose, corn sugar and rice starch (The AR stands for “Added Rice”). It does have a prebiotic. I like the Gentlease and Infant better (depending on your baby’s age) to try first. You can guess how I feel about ProSobee. I prefer a cow’s milk over soy-based formula. I’d like there to be additional whey protein added. I don’t like a lot of non-lactose sugar (called: corn syrup solids, glucose syrup, maltodextrin, or sucrose). If your baby is under 3 months old, I suggest starting with a partially hydrolyzed protein. For these little guys, I think focusing on getting a smaller protein is more important than trying to limit the amount of corn sugar. If the research on this changes, I’ll let you know ASAP! If your baby is older than 6 months old and is already eating dairy foods with no problems, then it’s not so important to be sure the protein is hydrolyzed. I’d still like there to be a bit of extra whey added, and would focus on limiting the amount of corn sugar in the formula. If there is no partially hydrolyzed protein option in your “standard” WIC formulas (like Massachusetts), then ask your pediatrician to request it for you (like you need to in Tennessee). 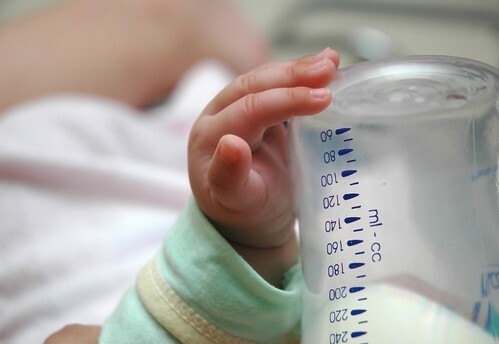 The American Academy of Pediatrics recommends a partially hydrolyzed formula for any infant at risk for allergy, which is about one third of all infants! (2). So, it should not be hard to get your pediatrician to request a partially hydrolyzed formula for you! If it helps, show them my article on hydrolyzed protein which explains why I think these formulas are better, especially for newborns and any kiddos that are at risk for allergy or immune diseases. Your local WIC office can help you get the right forms filled out. You are the expert on your own baby and should trust your intuition when making decisions for her. These are just my recommendations on places to start, if you are feeling overwhelmed.